At least three people are dead — including one student — after a school bus carrying a middle school softball team collided “head on” with an SUV allegedly driven by a drunk driver in Oklahoma, according to a statement released by school officials. The accident happened late Friday near Bowlegs, Oklahoma, at U.S. 377 in Seminole County, about an hour southeast of Oklahoma City, as the bus, carrying six girls and their coach from Konawa Junior High School, crossed the Little River bridge. “…they were hit head on by a drunk driver,” said the school’s Superintendent Cory Ellis in a statement released on Saturday. A male driver and female passenger in the SUV were pronounced dead on the scene, according to the Oklahoma Highway Patrol. One child died on the bus. The names and ages of all the softball players, including the girl who died, have not been released, according to the state highway patrol. School is expected to be closed on Monday and extra-curricular activities will be suspended for the week, said Ellis in the statement. A prayer vigil will be begin at 6 p.m. on Sunday in the Performing Arts Center and two local banks, Sooner State Bank and Bancfirst, will be opening accounts to receive donations beginning Monday, March 11, the superintendent announced. 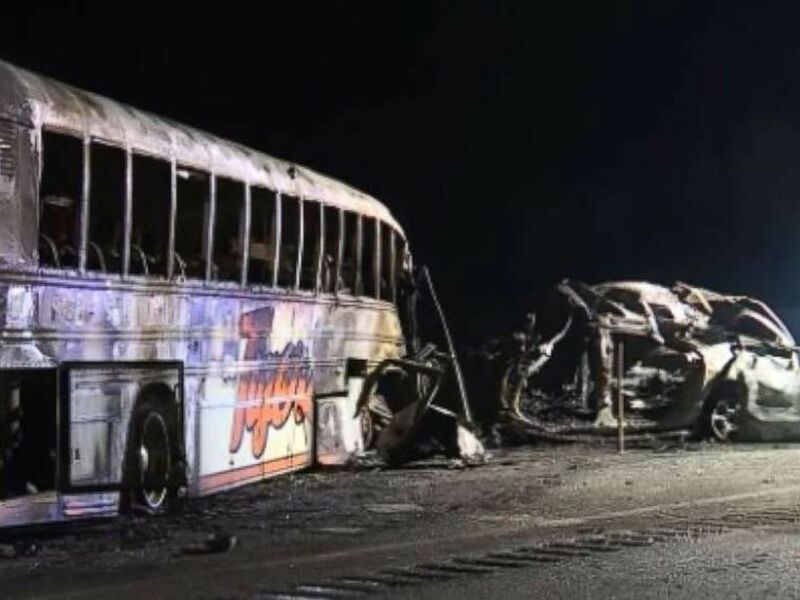 Three people were killed, including one student, when a bus carrying a middle school softball team collided with an SUV in Seminole County, Okla., on Friday, March 8, 2019. Konawa is 20 minutes south of Bowlegs, where the accident took place. Six other people were injured in the crash, all on the bus, according to authorities. Among those injured was bus driver Joseph Scoggins, 30, who was treated for head, arm and leg injuries and released. Five female students were also treated for minor injuries and released.